Medjumbe, a remote private island and part of the Quirimbas Archipelago is so small that it barely even shows up on world maps. It’s because of its size, however, that it is able to offer the exclusivity that visitors to the island expect. Just a short thirty-minute flight from the mainland town of Pemba will get you to this minute island which is just less than a single kilometre in length. The offer of privacy and seclusion is revealed by having just thirteen thatched chalets situated on the beach overlooking a gorgeous turquoise sea, offering simplicity while still being sophisticated. Although small, the resort offers visitors everything guests would expect and more. The air-conditioned chalets have a private shady deck with a plunge pool and hammock for lazy days. It is just a short stroll along the beach to the resort bar and dining area, where you can sip on a cocktail before feasting on island cuisines such as fresh fruit and the days’ catch of seafood. 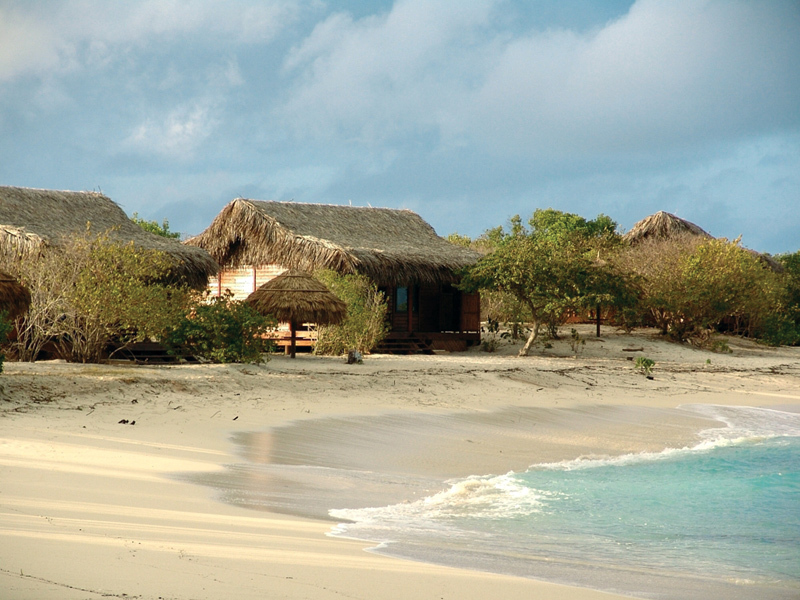 As close to heaven as what you can get, Medjumbe Private Island although small offers just as big a range of activities as the bigger resort islands. Known for its world-class diving to colourful coral reefs, snorkelling, waterskiing, fishing and windsurfing, you can also experience the thrill of wakeboarding, knee-boarding and tubing. All activities on Medjumbe are geared to entertain the guest. If you are staying on the island between the months of October to January, you may be lucky enough see whales that can sometimes be seen swimming close to the shoreline. If you are not into water sports but would love to get out into the ocean without getting wet, then a boat to view the marine life or a sunset cruise around Medjumbe is a perfect way to explore the ocean around this beautiful private island where luxury is the focus and relaxation the aim.